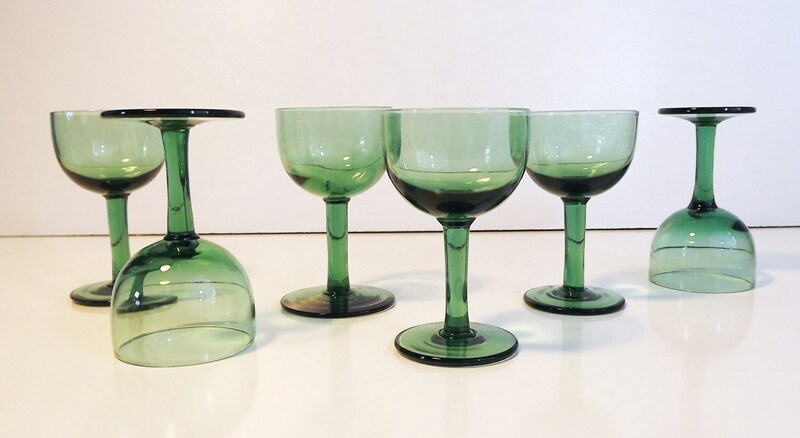 Set of 6 beautiful vintage emerald cordial or wine glasses with a fabulous green color. 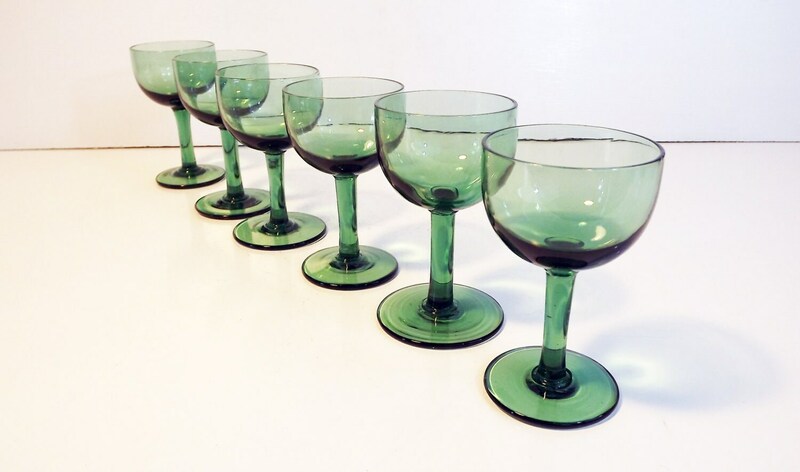 Nice set of lovely and sturdy glasses. Vibrant green colors. 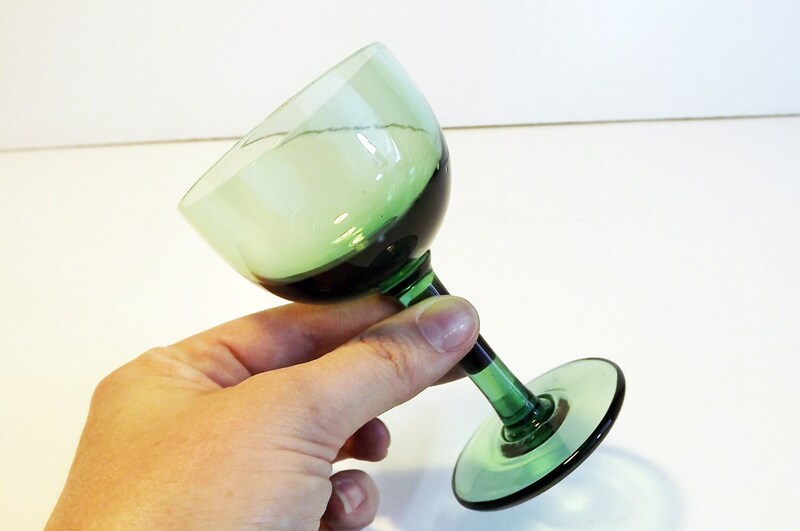 Glasses are hand blown - you can tell by the pontil on the bottom of each. As they are hand blown, there are some air bubbles, etc. Measure approx. 4 1/4'' high and have a 2 1/2" diameter across the top opening and across the base. Holds 2 oz. comfortably. 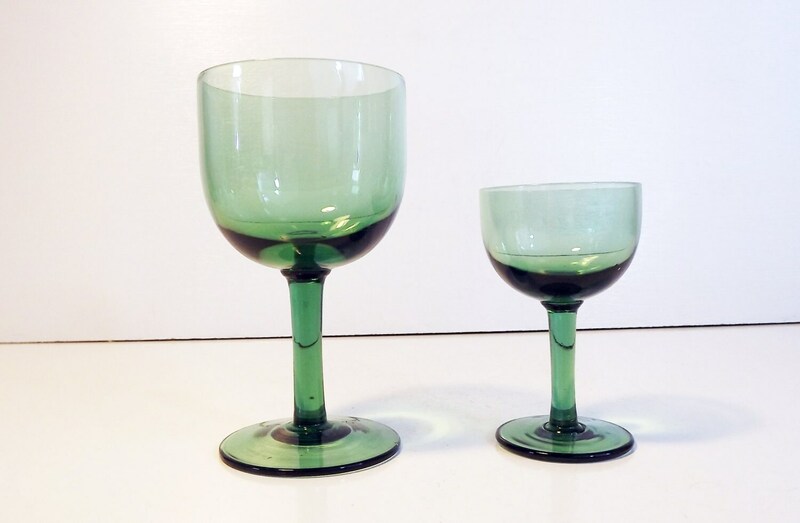 These are the cordial sized glasses - the example on the RIGHT in the last photo.